I hope your week going well for you. I can't believe that it's the middle of the week already - this week has just flown by! 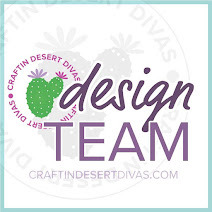 I have too many projects going and not enough "crafting time" in my day! I have another sweet Halloween card to share with you today. This card will also be going to Madison for this month's I Feel The Love Project. If you aren't familiar with Madison and the wonderful work she is doing, please stop by her blog for a visit - she is an amazing young lady! 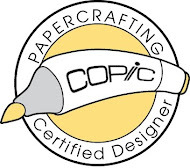 * Printed papers are from The Paper Studio stack "Spooksville"
* Most solid papers are from Bazzill, a few are left over scraps from other projects - who knows where they came from! 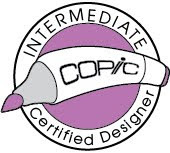 * Background mat is cut from Spellbinders "Labels 25" die and I added a few stitching lines with my white gel pen. 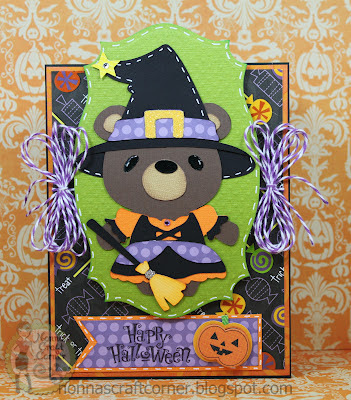 * The adorable little witch is from "Teddy Bear Parade" and is cut at 4 inches. She got a few stitching lines and a bit of Martha Stewart glitter added to the buckle on her hat. I hope this little cutie puts a smile on the face of a special little trick or treater! Enjoy the rest of your week and I'll be seeing you soon! This is the cutest card, I love all of the fun colors you used. This is such a fabulous cartridge, I am really wanting it! Adorable. I love all the cards you have made with the cartridge. Tanya, this is so cute. Love your twine bows, they are perfect. very cute papers! great card, super fun, love the colors!! Oh my goodness, so SUPER sweet! What a great little design and an adorable teddy bear! So so cute. I just love this cart and your ard. Oh my Goodness- this is adorable!! Tanya, I think this is the cutest card! I haven't seen this cartridge. Madison will want it now for sure! Thank you for continuing to support the I Feel the Love Project. It means a lot to Madison. Adorable:) I just love your card! I can't wait to get this cartridge! This is so so so adorable!!! What beautiful colors and such great cuts! This witch is adorable. You make me want to play with this cart. Might do that today. Thanks for the inspiration. this is just tooo adorable Tanya!! love that little teddy bear!!! OHHH MG this is just the cutest most adorable thing ever. Love it! Tanya ~ ENABLER ALERT! ENABLER ALERT! Just when I was TOTALLY convinced I didn't need this cartidge you go and make this! OMG! This is so ADORABLE!!! LOVE the paper ~ the details and the desing ! Seriously too CUUUUTE!!!! I LOVE stopping over here! 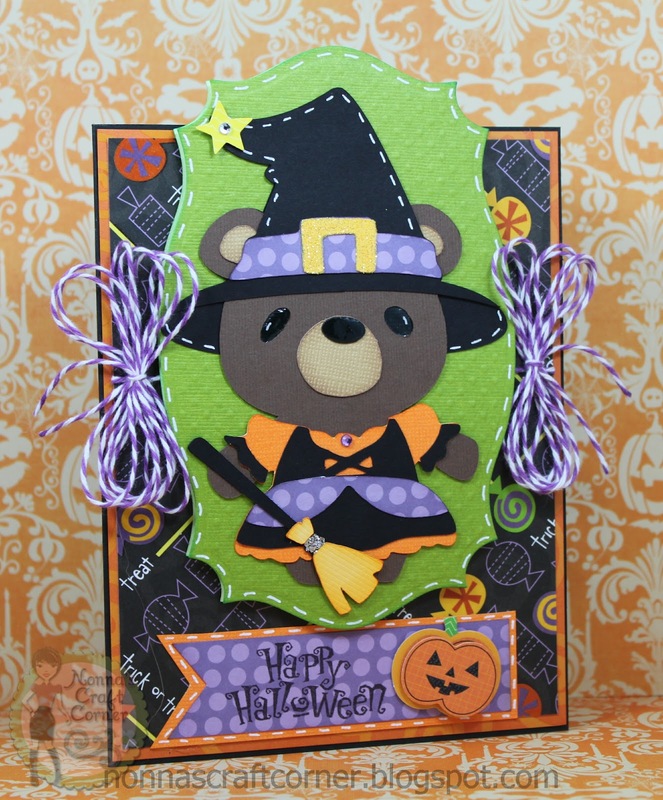 Ohhhh adorable---love the little bear and the darling loopy twine!! Wow, Tanya, this is just adorable! Madison will be so thrilled to pass this one on. Love the twine bows and the faux stitiching. The Teddy Witch is just sooooo cute. This is just too cute! I love it! Just precious! I saw that cartridge the other day and did what I could to hurry and get away from it. It's very cute. I may just have to go back and pick one up. This is just adorable!! !